Some of the most exciting jobs in the world may just lie in the sciences. From studying the earth we live in to the skies above us, the sciences are all about exploration and delving into the unknown. 1. Environmental Scientist-research issues relating to natural resources, plants, animals and humans. They address global climate change and population growth. 2. Hydrologist- study the movement, distribution, and quality of water on Earth and other planets. Their research helps other scientists, governments and businesses understand what pollutants are affects the water supply. 3. 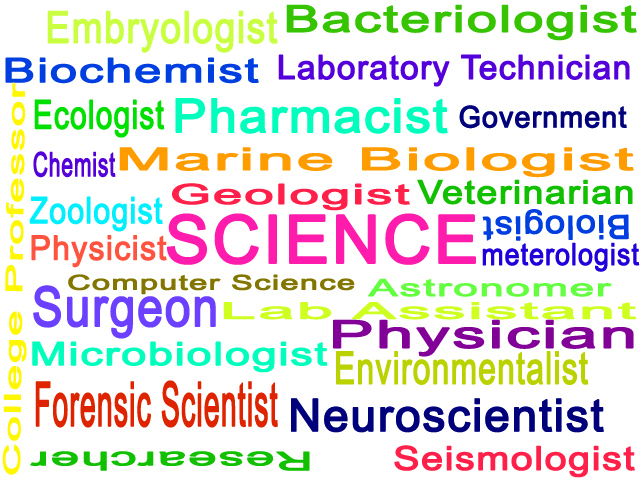 Geoscientists– spilt their time between working in offices or laboratories, and working outdoors. They study the physical aspects of the Earth, its composition, structure, and processes, to learn about its past, present, and future. 4. Medical Scientists-conduct research aimed at improving overall human health. They often use clinical trials and other investigative methods to reach their findings. Most work in offices and laboratories. 5. Biochemists and Biophysicists-study the chemical and physical principals of living things and biological processes, such as cell development, growth, and heredity. 6. Atmospheric Scientists –study the weather and climate, and how it affects human activity and the earth in general. 7. Materials Scientist-is a field that deals with the discovery and design of new materials. They determine ways to strengthen or combine materials or develop new materials with new or specific properties for use in a variety of products. 8. Physicists –study the properties of matter and motion. 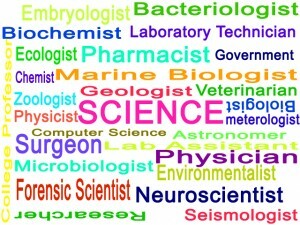 This includes researching the universe’s origin or developing new scientific tools, depending on their specialization. 9. Astronomers-study the characteristic and behavior of the sun, stars, galaxies and planets. 10. Biological Scientists – observe and study all forms of life, from microscopic organisms to humans, in order to better understand how these organisms develop and interact with their surroundings. ← Who’s Next to “Star” in a Major Biopic -a mathematician, a scientist or a writer?